With the holiday catalogue out and full of yummy Xmas product I’ve been making a few Xmas cards, I figured a couple of cards a week will build up a nice collection before the holiday season. I like this stamp set, I can’t wait to do more with it, although I’m not totally sure how happy I am with this card, I think I might need to change the colours. 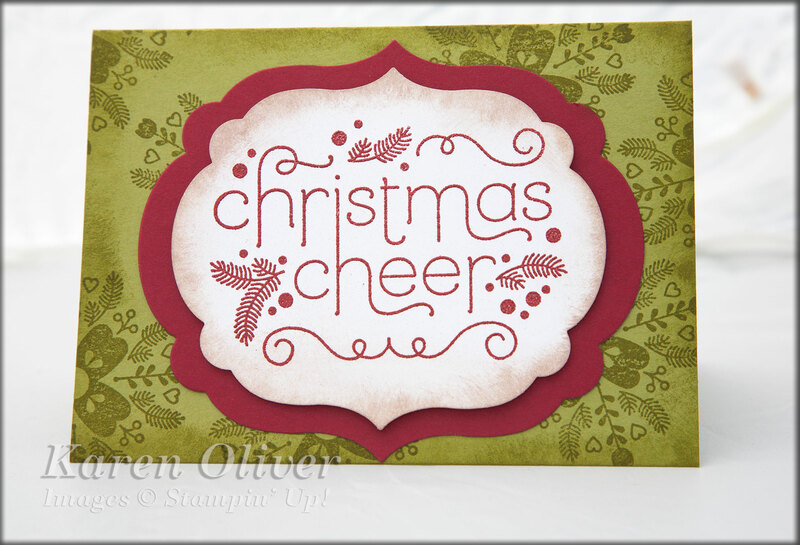 This entry was posted in Uncategorized and tagged Cheerful Christmas, Cherry Cobbler, Old Olive, Xmas Cards. Bookmark the permalink.